In view of FX Strategists at TDS, the Aussie Dollar could be under extra pressure following RBA-Fed policy divergence. “Very little has changed, although Q1 domestic inflation accelerated to mid-target 2.6%/yr. RBA is juggling a strong housing market with weak labour market fundamentals, and remains upbeat about the global backdrop. The macroprudential tools (and higher mortgage rates) targeting interest-only loans are welcome, but not enough to dampen appetite for record owner-occupied debt, and so a Nov hike remains our base case”. “If the RBA sits tight and the Fed hikes twicemore the cash rate differential shrinks to zero. While consensus claims that benign underlying inflation stays the RBA’s hand, we can’t ignore the fact that Australia’s safe high yielding status could be eroded. 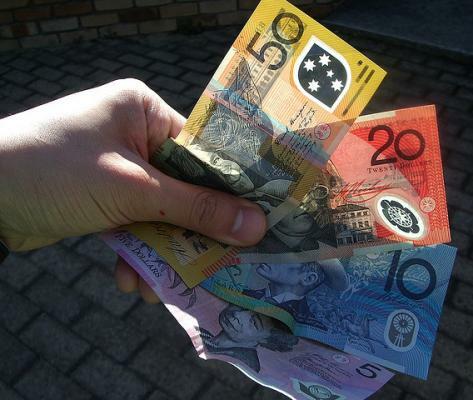 Losing global investor appeal could see heavy medium-term downside on the Australian dollar”.